This book, first published in 1957, was the first in English to provide a full and clear introduction to one of the most significant of Indian gods, and stresses his supreme role in Indian religion and art. 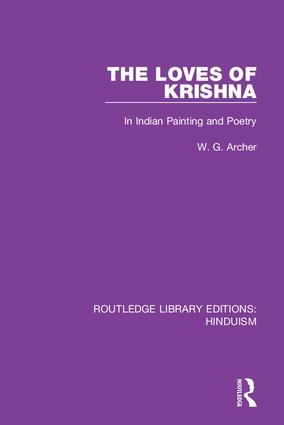 The book relates the full Krishna story, explaining his role in Indian religion, and traces the history of Krishna in Indian painting. There are 39 plates of Indian pictures, each accompanied by a commentary by the author, revealing a wealth of subtle and poetic detail.